We are proud to call Grand Rapids and West Michigan our home. Our martial arts classes focus on the Israeli self defense system, Krav Maga, where we train our students in basic personal protection, along with firearm and knife defense. Our mission is to provide effective Krav Maga, tactical and conflict resolution courses in order to better Live, Protect & Inspire. Krav Maga is the official self defense system of the Israeli Defense Forces (IDF). It has been taught to hundreds of law enforcement agencies and thousands of civilians in the United States. Krav Maga is designed to be learned quickly and retained under stress. Classes are challenging yet supportive, using proven exercises that adjust to your fitness and skill level to bring rapid results in your training. For over two and a half decades, men and women ages 16 to 60 have benefited from training at our martial arts academy. 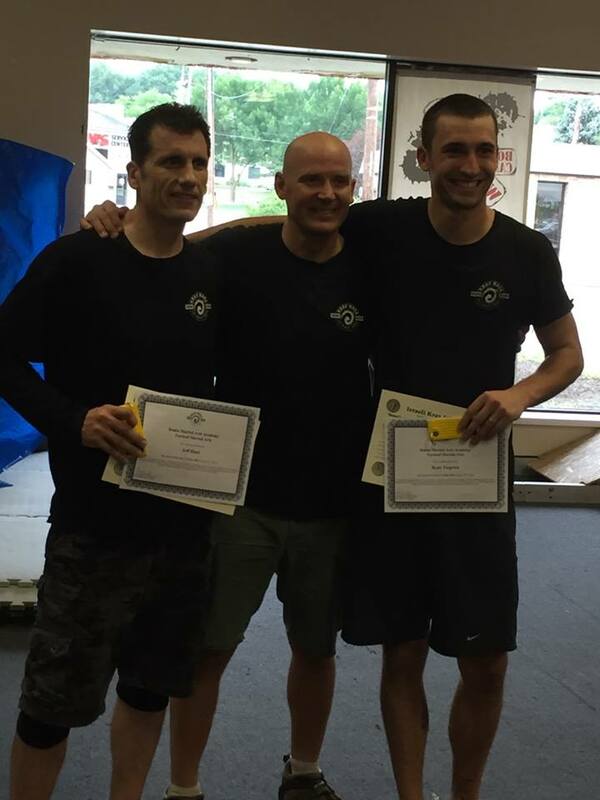 "I have never had an instructor that was more knowledgeable in self defense techniques and methodologies than Craig Gray." - Sgt. Andy V., Walker Police Dept. "One of the most challenging & exciting experiences of my life! Craig is hands down one of the best instructors in the world." "[Krav Class is] Constantly challenging and attainable, I keep taking one step closer to being my best self." "A challenging and encouraging community. Each class teaches something valuable. It has truly enriched my life in more ways than one!" "Craig's the Real Deal! Students are given the tools to become the best version of themselves." "Craig Gray is easily one of the most gifted instructors I have ever seen."